Our team of Technical Engineers Has Over 25 Years of Expertise in Complex Networking, Communications & Consulting. 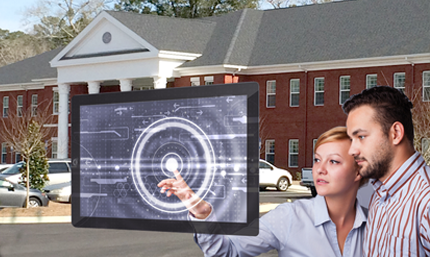 Hayes Provides IT technology Solutions for Government and Education. A Few Products Include; ProtectCloud & Disaster Recovery Services as well as Internet, Video, Voice, Tech Products and Services. Hayes (HCS) has extensive experience in managing a statewide project for Florida's schools. For over 27 years, Hayes has had experience in completing state-wide projects for state government and the educational communities. HCS works with: engineering teams, cybersecurity professionals, educational specialists, project managers, and individuals who have a background in solving issues for state and local governments. Hayes consultation team can assess your network infrastructure; quantify the performance of your network assets; design effective network architecture; and implement your network strategy. We can help you address areas of risk and plan for expansion and growth. High availability, the ability to adopt and integrate new technologies, better performance and strategic planning, improved business efficiency. Hayes recognizes the criticality of IT systems and their impact on operations. Hayes has focused on cybersecurity as a core component of all services provided. Hayes has the ability to tailor security solutions and services to the customer's unique business drivers and risk posture. In addition, Hayes offers cybersecurity consulting to customers that ranges from strategic planning to security program planning and implementation. Hayes has staff that add value to our customer's ever-evolving security challenges and can develop long-term security strategies, as well as short-term operational security posture enhancements. Hayes has staff well versed in applying security controls that achieve compliance mandates, while preserving core security tenants. The need to balance process with people and technology, is at the forefront of the Hayes security services approach. From the boardroom to the backroom, Hayes aligns the business vision and goals of an organization to advanced technical architectures and specific IT solutions. Clients trust our people and performance to meet their unique information technology business requirements. Hayes is known for its excellent customer service and provides around-the-clock live expert assistance to customers, 24 hours a day, 7 days a week, 365 days a year.